*See Trip Resources page above for specific arrival and departure locations. 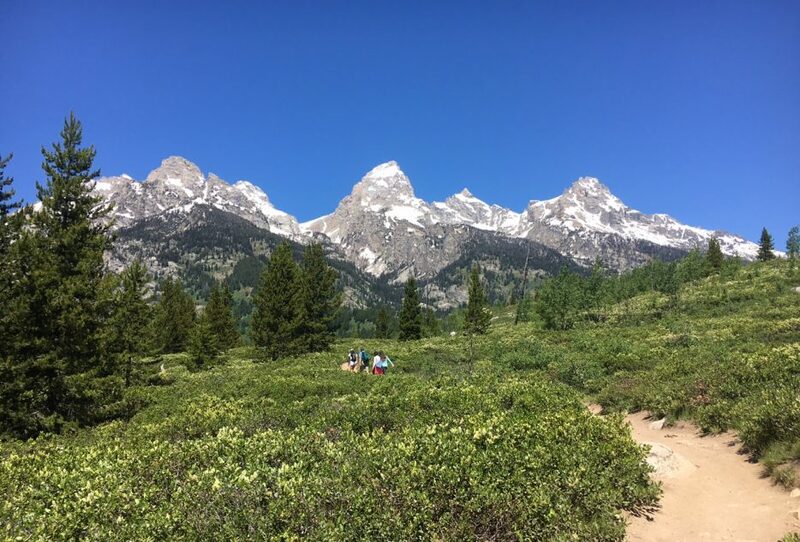 Embrace the stunning beauty of Wyoming’s Rocky Mountains for two weeks this summer! Backpack through Yellowstone National Park—famous for its concentration of wildlife—keeping an eye out for bison, black bears, lynx, elk, mountain goats, and more. 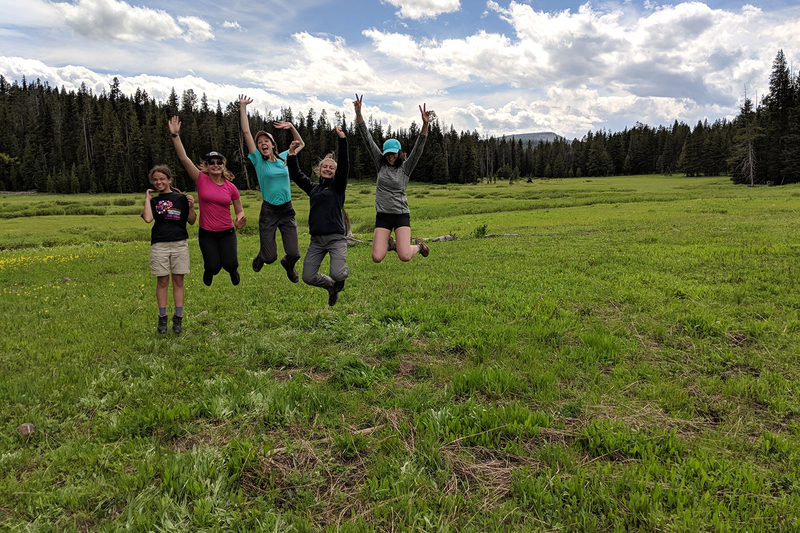 Become an Alzar School student for a four-day introduction to river leadership rafting trip down the stunning Salmon River. Finally, flow down the trails on a mountain bike on Brundage Mountain’s exciting trails. Set your sights upon Yellowstone’s spectacular Rocky Mountains during a four-day backpacking trip. Avoiding the crowds and heading into more secluded territory, we’ll wander past some of the more than 500 geysers scattered throughout America’s first national park—the largest concentration of active geysers anywhere in the world! This area also boasts tremendous biodiversity, and it’s likely you’ll spot some of its famous wildlife on your hike. Ancient violent volcanic activity shaped these mountains into the gorgeous and unique landscape they are today. 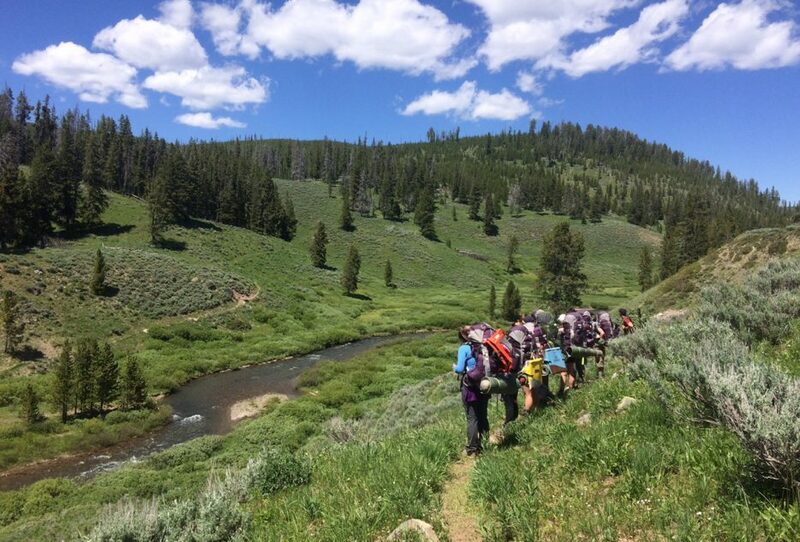 Adventure Treks works with the renowned Alzar School, a 501c3 nonprofit leadership school based in Idaho, to guide this fun, educational introduction to river leadership course on the magnificent Salmon River. During their four days on the Salmon, students will learn how to navigate downriver as a team and look at environmental issues related to riparian ecosystems. And, of course, they’ll tackle exciting rapids and camp on river beaches at night. Bonus: Alzar School provides a semester of electives credit that can be incorporated onto students’ transcripts at their traditional school. 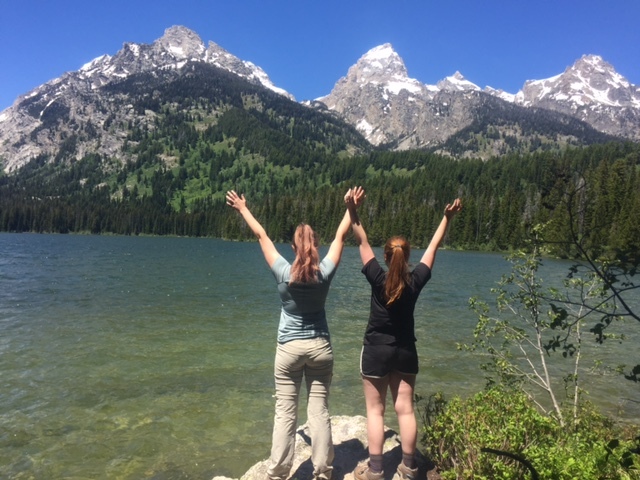 Set your sights upon a stunning subalpine lake in Grand Teton National Park. Amphitheater Lake lies at 9,698 feet, and you’ll pass through a conifer forest with countless views of surrounding peaks during your ascent, like the famous Grand Teton, Disappointment Peak, Mount Owen, and Teewinot Mountain. Bonus: You’ll get uninhibited views of Bradley and Taggart lakes—where you did your day hike—and miles of green, rolling prairie lands. Keep your eyes peeled for black bear in the distance, mule deer, or grouse! Brundage Mountain pulls double duty: a ski resort in the winter, and a mountain bike haven in the summer! With 20+ miles of trails that are perfect for beginner to advanced riders (and everyone in between), Brundage’s rolling terrain offers plenty of thrills and scenic views of Payette National Forest. Yellowstone Teton Adventure 2 is an all-boys’ trip; please call for more information. Ren had a wonderful time being in nature and away from the cares of the world. The experience was Ren’s alone—not having technology allowed for being in the moment with peers and the places they went. Ren liked the instructors and felt they were a fun part of the trip, not just adults who were in charge and making sure the kids did what they should. Adventure Treks is a safe and wonderful way for your child to experience a new area and others from across the country. My son absolutely loved it and wants to spend even more time with his new friends on new adventures! My son said it was a great trip; he really can’t wait to go back next year. He learned so much about himself, working as a community, and understanding the importance of teamwork, and the best was he had a blast!!! He can achieve more than he realized! Also, he made amazing new friends from all over the country, who are loving, kind, caring, and overall wonderful people with common interests. I am so proud of what Zach accomplished! I can see the change in him and how he looks at situations. He communicates better, understands contributing is key, and has an added sense of confidence I am thrilled to see in him! Noa had an incredible time—she loved her group and all of the experiences. It was nice to see her so happy after the trip. She’s been talking to her friends every day and is planning another trip with them. 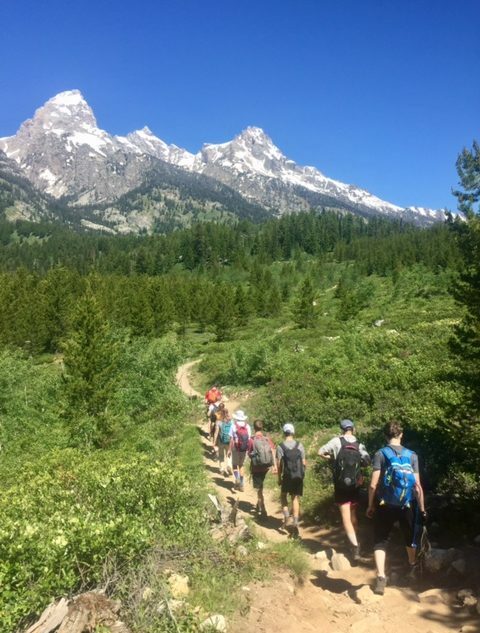 Adventure Treks provided an amazing opportunity for our child to step out of his bubble and experience nature’s beauty while gaining independence, building new friendships, and taking a much-needed digital detox! He has made friendships of a lifetime—his community is a new family. He absolutely loved the backpacking. After our daughter came home, she said that those were the best two weeks in her life because of the amazing people. The AT staff, program, and team spirit beat all our expectations. This is a very rare example of a company who truly cares to bring out the best from our kids. The communication prior to the adventure was extremely well-organized, with multiple opportunities to talk over the phone or ask questions during webinars. The AT team was really able to create a unique atmosphere and exceeded all points! I can only imagine how difficult and what huge responsibility instructors and AT leadership is taking on. Inna can’t wait until next year’s trip! This has become her dream to come back and experience the same unity and unique, deep friendship! RJ and I could not have been happier with her Adventure Treks experience. As we got geared up to go, I was pleased that they are incredibly organized, but not uptight. I chose Adventure Treks because of all the places I looked at, it seemed to emphasize safety and fun more than other organizations and from what RJ reported, this holds true—safety is emphasized, but so is fun so that kids learn that being safe does not mean sacrificing fun. The experience made RJ more confident in herself, and she cried when she left her new community. Some people she will miss more than others, but what she misses most of all is the group as a whole. They all worked together and supported each other in ways big and small, and she experienced what it means to be a part of a community that requires its members to support and help each other. Adventure Treks was a personal growth experience. It’s amazing how teenagers can become so close and make new friends in such short a time.